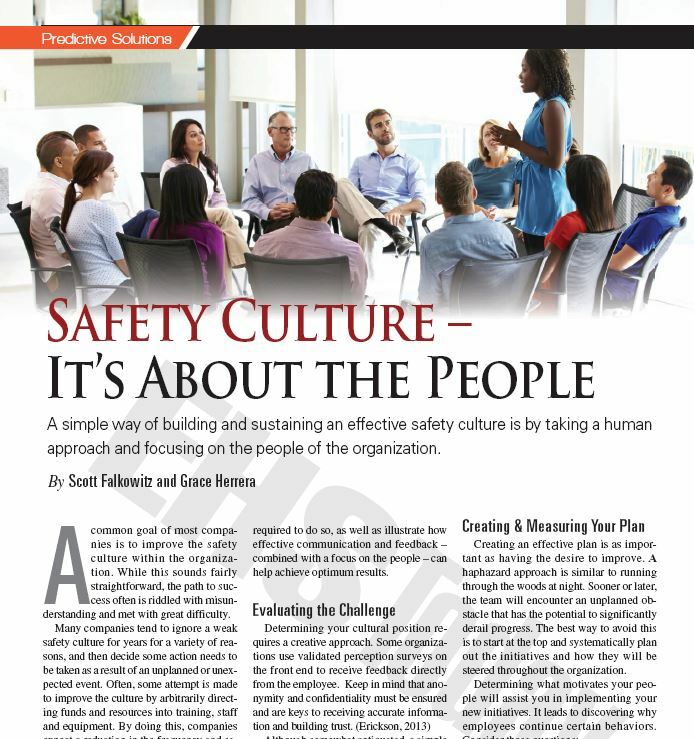 A simple way of building and sustaining an effective safety culture is by taking a human approach and focusing on the people of the organization. 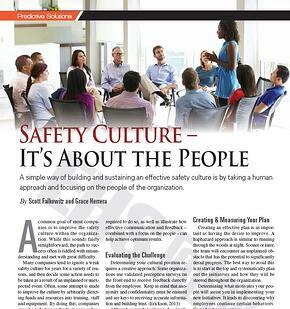 A common goal of most companies is to improve the safety culture within the organization. While this sounds fairly straightforward, the path to success often is riddled with misunderstanding and met with great difficulty. Many companies tend to ignore a weak safety culture for years for a variety of reasons, and then decide some action needs to be taken as a result of an unplanned or unexpected event. Often, some attempt is made to improve the culture by arbitrarily directing funds and resources into training, staff and equipment. By doing this, companies expect a reduction in the frequency and severity of incidents and an overall increase in commitment from their employees. Longterm, this typically leads to disappointment and falling short of the goal. Read the full article online or download the full article here.